Mimi Simmons - When You Want The Very Best! 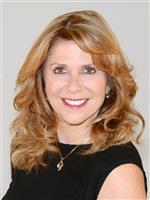 Mimi entered the real estate business in Nevada County in 1984. Mimi has excelled in all arenas of real estate and is one of the most prominent and competent brokers in the area. She dedicates herself to full time real estate and has built the strongest real estate team in Nevada County. She was the #1 Top Producer for Nevada County 2011, 2012, 2013, 2014, 2015, 2016, 2017 & 2018! When you want the Foremost Real Estate Team in Nevada County, call Mimi.